Parameters that you can test: Voltage of battery. 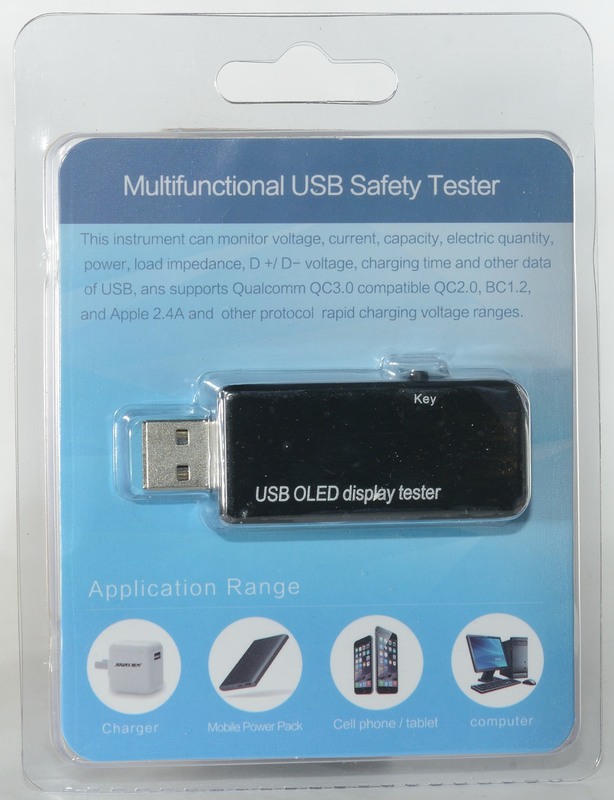 Current of battery, discharge capacity of battery,Quantity of electric charge,power of battery,timing. 2 clicks will only reset the Ah counter. 3 clicks will only reset the Wh counter. 4 clicks will only reset the time. 5 clicks will adjust when to turn off power: Never, auto or hours. 6 clicks will change between english and Chinese language. Holding it down will reset time, Ah and Wh counters. Single and double clicks are used to step up/down in some selections. Note: Not all click combinations works on all screens. 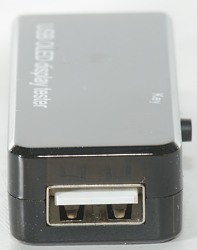 Holding the button down when connecting power will enter the configuration and calibration menu. First screen is voltage, current, power and the summations Ah, Wh and time. 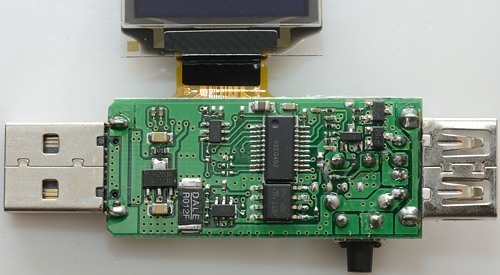 Next screen show voltage on both power and data pins, a calculated resistance of the load, internal temperature, time and current. 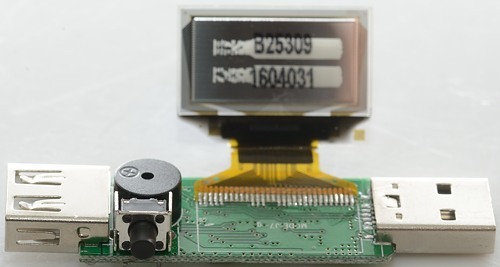 This screen is basically the same as the first, just with labels for the sums and less resolution on voltage and current. 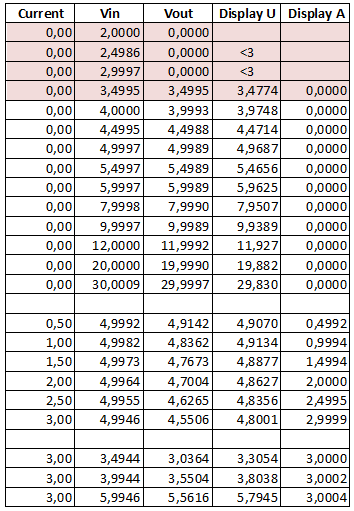 The (1.00) shown is a scale factor that can be adjusted in the configuration. Press the button 5 times to define a maximum charge time (AO is auto off), wait to save. I could break it open without any damage. This design looks very simple. It has a voltage regulator, a R012 for current measurement, a processor, a EEPROM and some transistors for turning the output on/off and two 6 pins high precision ADC's. 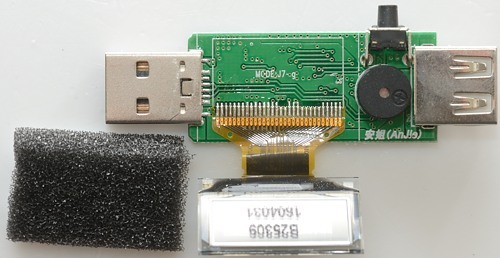 The usb connector is reversibel, it is always possible to mount with display up. 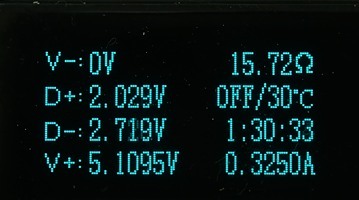 Internal resistance is about 0.15ohm including connection resistance. 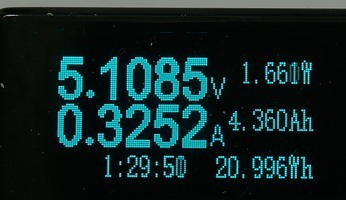 Voltage display is within 0.04 volt in the 4.0 to 6.0 volt range. 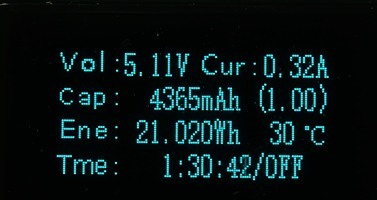 Current display is better than 0.001 ampere in the 0 to 3.0 ampere range. Meter has a buzzer than sound when voltage is disconnected. 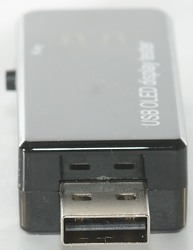 The usb connector gets warm, the meter not nearly as much. 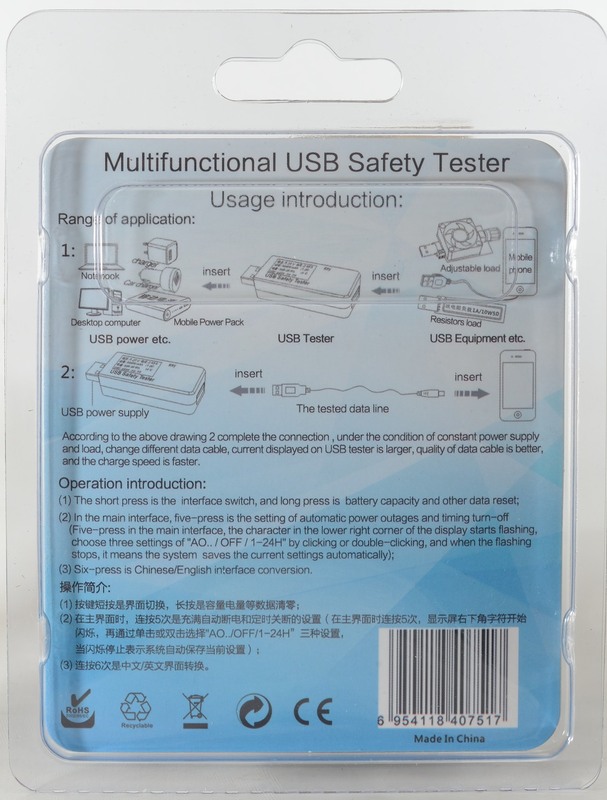 This is a usb meter with a few extra function. For technical people the D+/D- voltage can be very interesting (Together with the table at the bottom of this page). 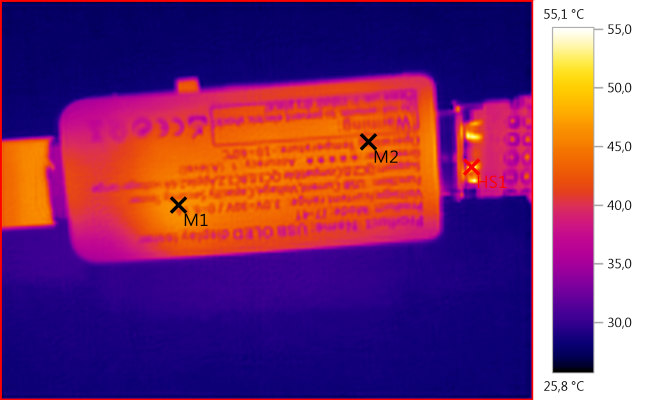 The voltage precision is not very good compared to number of digits, but that can be calibrated (if you have a precise 5V source, I did that after the test and the precision was very good after that). 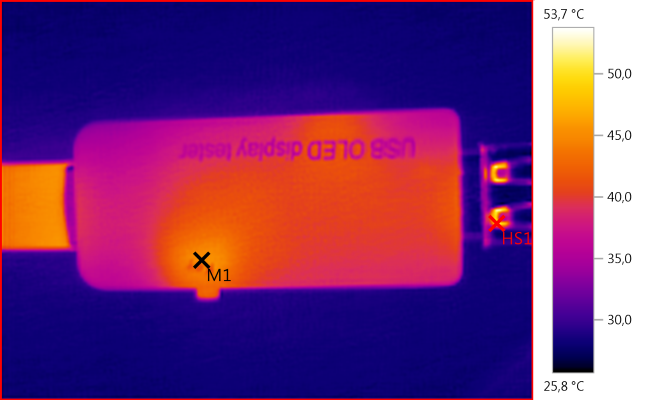 The current was much better calibrated. I do not see much idea in the disconnect function, scaled capacity or the timed charge. 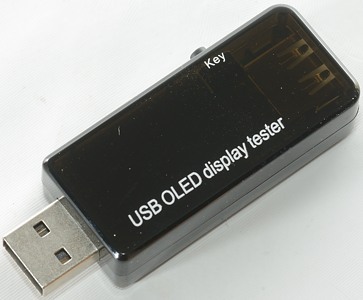 The other function is a good usb meter with Ah and Wh counters, but I could have wished for lower internal resistance. 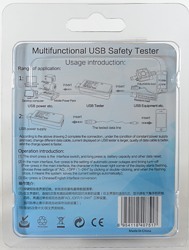 The other usb meters in the same serie: Safety tester J7-t (Also called Security tester) and QC2-3-MTK-PE Trigger J7-t. 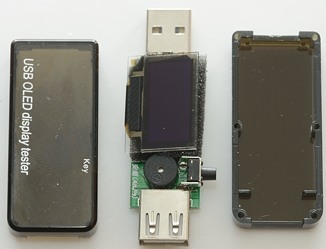 They uses nearly the same circuit board and parts.